← Patent Reissue as a Hedge Against Invalidity? The United States Supreme Court heard oral arguments today in Microsoft Corp. v. i4i Limited Partnership, Case No. 10-290, a case that calls into question what the proper burden of proof is to invalidate a patent claim. Microsoft challenges the long-standing standard of clear and convincing evidence and argued today that the proper standard of proof is merely by a preponderance of the evidence. Both i4i and the government argued that clear and convincing status quo should be maintained. As is their custom, the Justices peppered both sides with questions about what the burden should be, and the Justices did not seem to clearly favor either side. While initially arguing in its briefs that the Court should adopt a hybrid approach—clear and convincing evidence for anything considered by the Patent Office during prosecution and preponderance for everything else—that position was largely ignored today during oral arguments. Instead the parties and the Court focused on a uniform standard and what it should be. Justice Breyer noted the tension that exists between not giving legitimate inventions the protections they deserve and giving protection to inventions that do not deserve it. Counsel for i4i particularly stressed the need for protecting inventors and their inventions. In particular, he reminded the Justices that an inventor must completely describe his or her invention to the public in order to obtain a patent, which prevents the inventor from protecting his or her invention in other ways. The Justices also focused on the exact language of the statute (35 U.S.C. § 282) and the Court’s prior cases addressing the burden of proof. The parties also discussed how to instruct a jury about prior art that the Patent Office did consider. A copy of the transcript can be downloaded here. 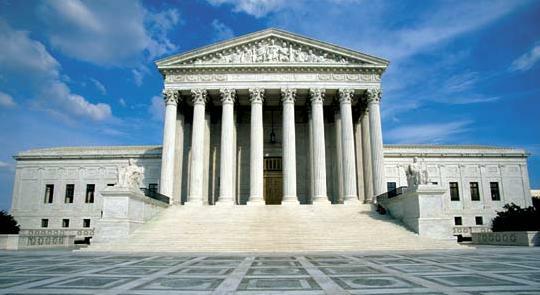 The Supreme Court docket for this case is located here. The various briefs can be found here. A decision is expected later this summer. Note that Chief Justice Roberts did not participate in the oral argument. This entry was posted in Patents, Technology and tagged i4i v. microsoft, patent, patent burden of proof, patent litigation, pittsburgh intellectual property litigation, Pittsburgh patent lawyers, pittsburgh patent litigation, Supreme Court Patent Decisions. Bookmark the permalink.